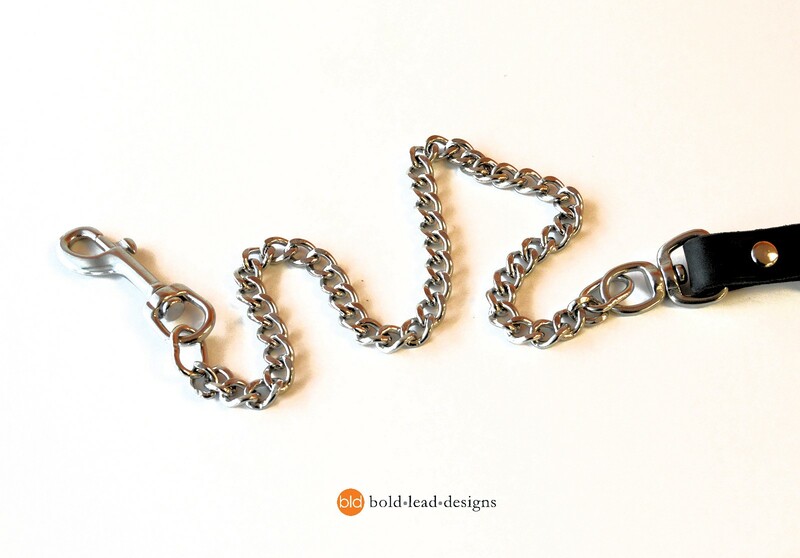 24″ of chain to deter leash biters! 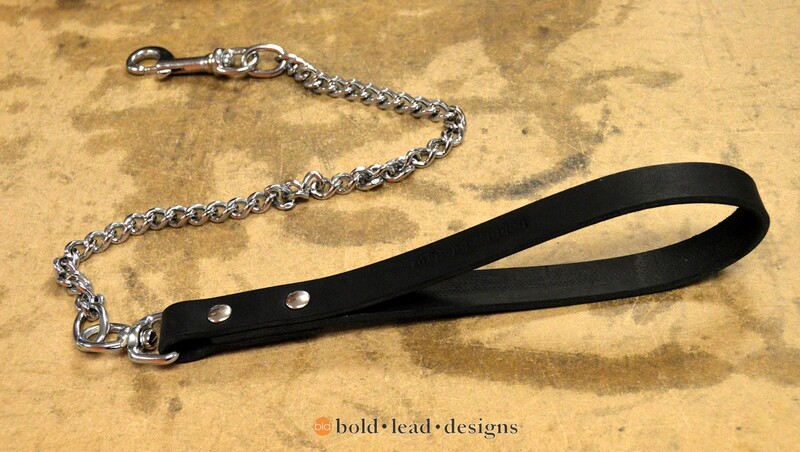 BLD’s Traditional Leather Lead is now available with a stainless steel chain. 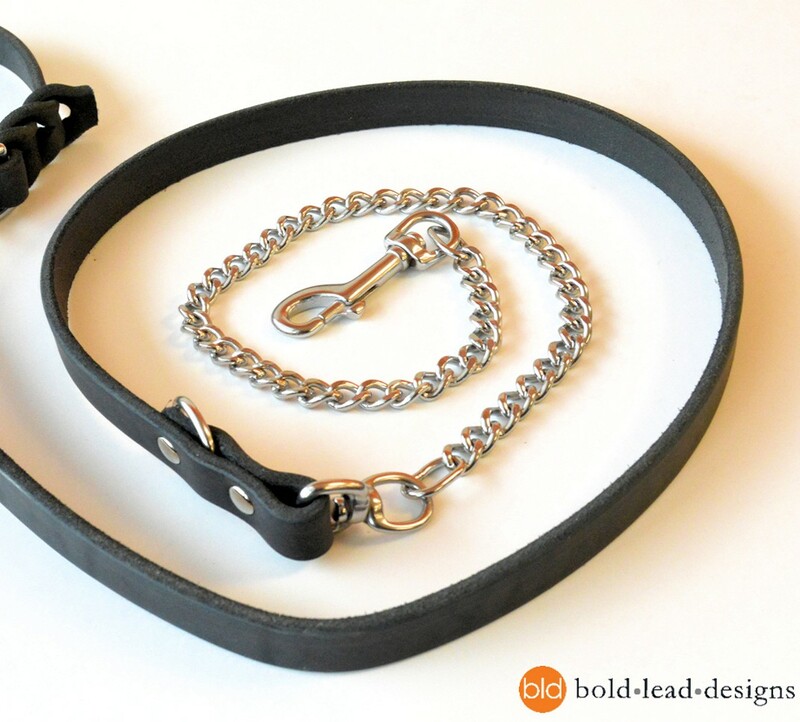 Handcrafted with our soft and extremely durable leather, with 24 inches of stainless steel chain at the “dog end.” This is the best quality leash you will find anywhere. There is no stitching to come undone or rivets to wear out. We use only the best and most durable leather that is always soft to the touch and only improves with age. All edges are beveled for a smooth feel. Top quality hardware assures strength and durability. We believe so strongly in the quality of our work, we offer a LIFETIME WARRANTY. Only available in the XL 3/4″ (17 mm) width with stainless steel (silver). 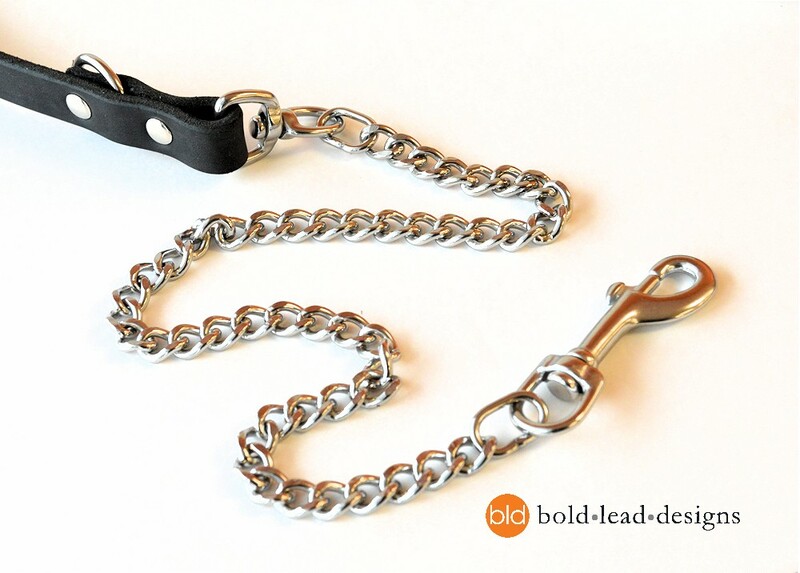 Assembled with screw posts at the chain end, and a braided handle for the most durable leash we can make. Click here to see modification options.